The Funky Monkey Lodge is a fantastic, and always popular, retreat location. It is tucked away in the jungle and yet all conveniences are easily accessible. The steel tree house where we will be doing our aerial silks and yoga classes in was built by an architect and inspected by an engineer, so meets all safety standards. You are able to “Choose your own Adventure” as I wanted to offer as many options as possible so that you can stay within your budget. I’m so excited to be going back to hang with friends in this perfect paradise! *Aerial silks will be taught by myself, and yoga will be taught by one of the Funky Monky Lodge yoga instructors. 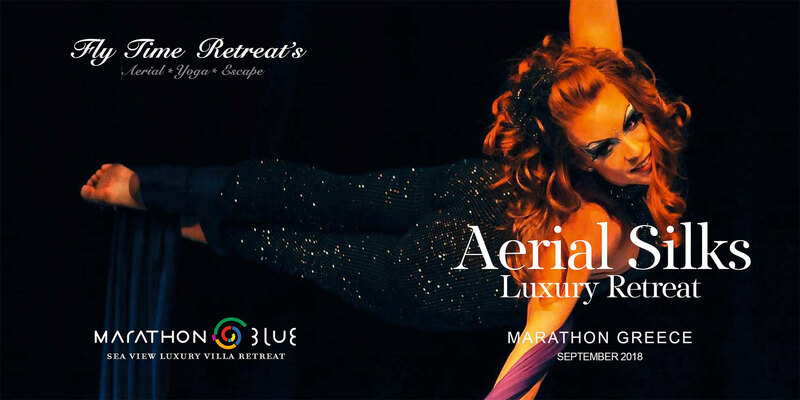 Learn how to dance on air while toning your muscles, increasing flexibility and strengthening the entire body. 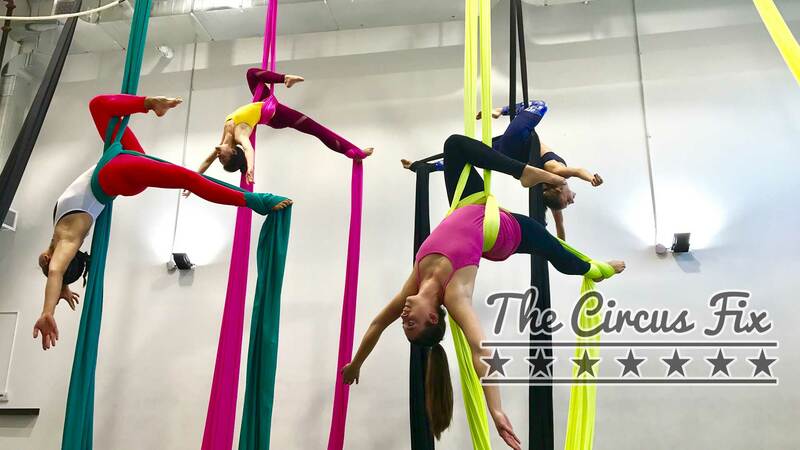 There are endless possibilities with the horizontal, vertical, twisting, spinning and flying movements that aerial silks allows. Instruction will be catered to your individual level. Having fun while learning, improving or perfecting your talent is key! 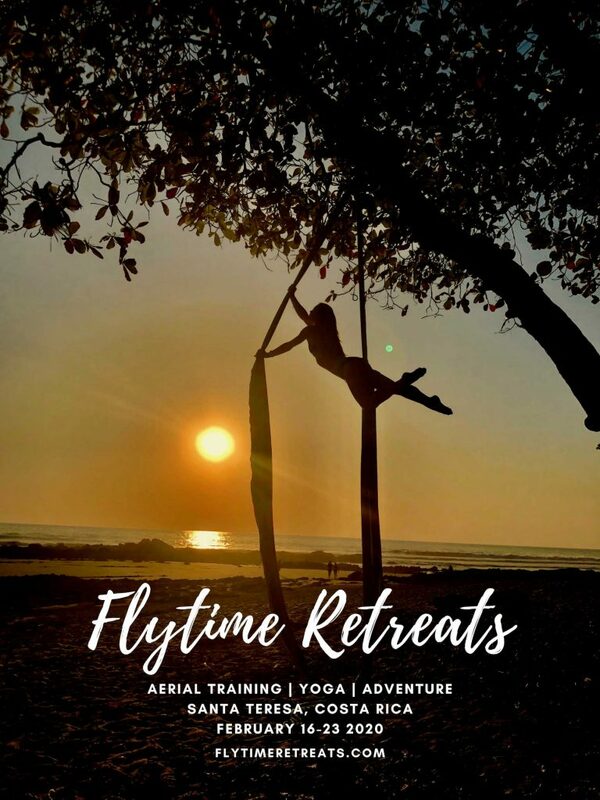 Each yoga class will be a restorative/yin style class to help balance and stretch your body from your daily silks lesson, surfing or adventures of your choice. Focus will be on relaxation and flexibility; the perfect end to an amazing day. I loved this place the first time that I went to check it out. It’s literally a 5 minute walk to the beach and all of my favourite local restaurants, but far enough away from the main road that you feel like you are literally in the jungle. The head chef is a nutritionist and uses only local, organic, fresh food — you are guaranteed to love every meal. From sushi, salad, and smoothies to Argentinean BBQ you are in for a real treat! Dietary restrictions and preferences can be easily accommodated. Step 1 – Sign and send back your completed registration form with your accommodation choice and you will receive an invoice with pricing totals. Step 2 – You will then receive a waiver/contract that will be due with your deposit. 50% is due in order to secure your spot and is non-refundable*. The remaining 50% will be due by December 1st 2019. *If minimum numbers are not met by October – the retreat will be cancelled and all deposits will be refunded. Step 4 – Send in your deposit and signed waiver / contract. Send in your Registration using this form. Any special notes / details?